Self climbing, fully automatic hydraulic system, featuring a fast stroke climbing action unique three-way adjustment option for aligning the forms. The platforms on either side, are moved via a hydraulic ram as a complete unit. A lift of 4.00 m takes only around 60 minutes. Roll back, suspended shutters increase work speed, resulting in a “steel and concrete works plus one day” schedule. 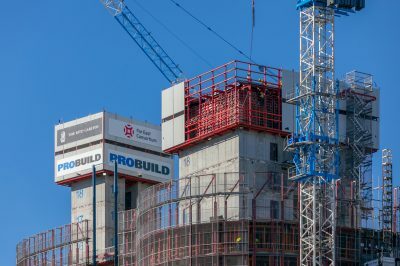 Apart from the initial assembly, the MAC is completely crane-independent, thus, productivity is never hindered by wind velocities even at great heights. The long-stroke, heavy-duty hydraulic system is equipped with safety features such as a non-return ratchet that locks on each cylinder. 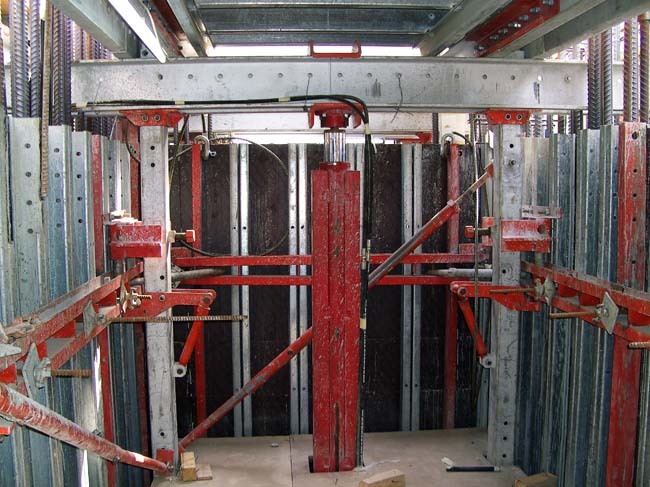 The system´s inner and outer formwork shutters comprise pre-fabricated formwork panels. A three-way adjustment on the shutters enables completely independent adjustment in each direction, ensuring the greatest possible accuracy. 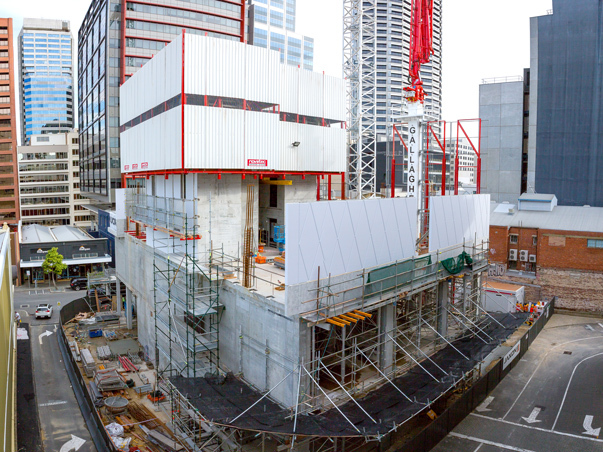 This technology underlines the MAC´s advantage in efficiency and flexibility, positioning it one step ahead in the demanding field of high-rise building projects across the world. 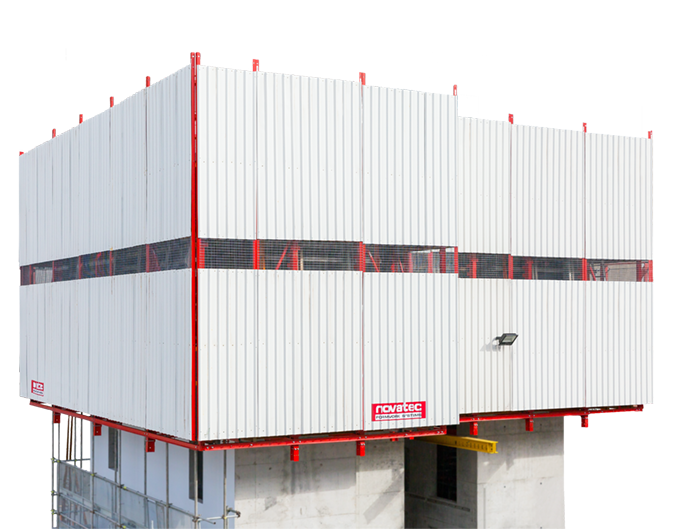 The MAC platforms are completely enclosed offering protection from weather influences and the safety of a closed working environment. The jacking beams are supported by concrete that has already set - Structure can be lifted the day after pouring, saving time. A long jacking stroke per level; ensures a fast program time of "reinforcement plus concrete plus one day." The fastest technology, speed and efficiency, resulting in extensive time savings. Lifted entirely without crane - No crane time needed, saving time and enabling climbing even at great heights with strong winds. As the top deck is free of jacking masts and other mechanical obstacles, improved safety and working conditions is achieved. Improved safety is achieved via the use of hydraulic non-return valves and non-return ratchets on each jack. The potential risk of accidents and disruptions is also greatly reduced. Rolling panels ensures fast and easy opening and closing of shutters with; fewer operations resulting in more speed. 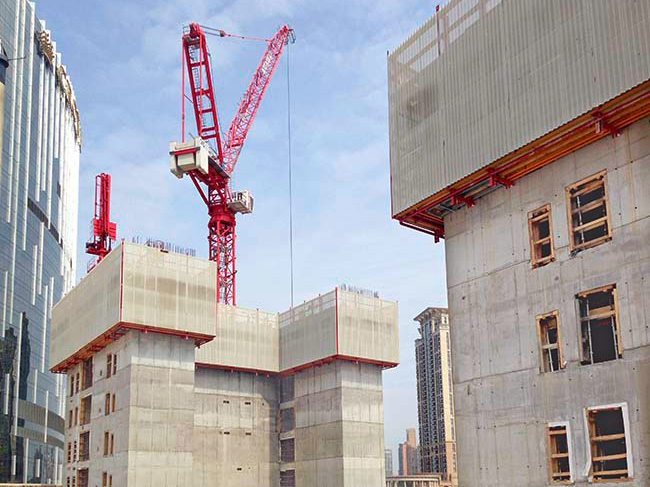 The building sequence is independent of external factors ensuring Speed, reliable scheduling and on-time work flow. The long-stroke and heavy duty hydraulic rams (20 ton load capacity) allow 4.0 m of travel enabling deep, floor-to-floor single pours. The shear key pocket moulds are retrievable prior to jacking and are therefore immediately reusable saving on time and money. 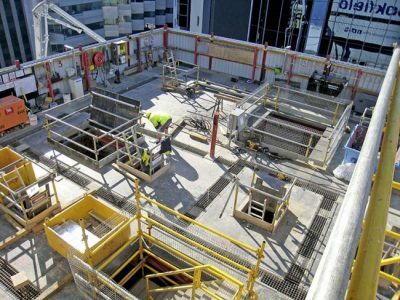 Drop panels allow for easy access to platforms for placing steel reinforcement, penetrations and built-in items. The 3 way adjustment of shutters allows for maximum possible accuracy. The fully clad and enclosed environment provides protection from the elements and comfortable, safe working conditions for workers. The multiple working decks ensures improved productivity and safety.